An educational and creative place like a museum needs a team of talented people to take care of all the unusual and priceless treasures there. Here are some resources to get you started! So you want to work in a museum. Where do you start? Check out this comprehensive list of resources that might help you find your dream job! Do you think a graduate degree in Museum Studies is the right career move for you? Check out this list of programs! What is the best way to acknowledge and thank museum donors? Here are some ideas. Your museum survived a tornado or fire, but some of your collections are damaged. Now what? Read on for some basic guidelines for assessing the damage. Museums across the country are using new technologies like blogging to get the word out about what they have to offer. It’s easy to get started! This is the most complete book I’ve seen addressing all of the issues you will encounter when pursuing a museum career – both the good and the bad! Highly recommended. You never know when disaster will strike. It’s best to be prepared by planning now! A formal contract will create a professional experience for your museum intern. It will also help you set up a schedule and outline your expectations. This cutting-edge conference taught me so much about my profession! People are bombarded with high-tech glitz every day. Sometimes simpler, low-tech interactives can make an even bigger impact and help you get your message across. They’re also easy on the budget. Share this list with the departments in your museum. Is everyone ready for an emergency? Providing feedback is the only way an intern will know what he or she is doing right, and where they might need improvement. This isn’t the best time to be job hunting. But there are some things you can do to make yourself marketable to a museum. It can be tough to break into the field. Here is some advice about landing that first museum job. A strapped budget doesn’t mean you can’t move forward with your plans! Here are some free resources to consider when planning your next project. With revenue pools shrinking, grants have become more competitive than ever. But that doesn’t mean you shouldn’t apply for one. The hardest part of my job is handling the donors who give artifacts to my museum. Here is some advice on how to handle this important, but delicate, process! Read on for some things to consider before booking a traveling exhibition at your museum. Here are some tips for making the most of your museum internship. It can be difficult to find the right person for your exhibit project. Here are some tips for finding a good exhibition designer. Each artifact is marked with a unique number when it enters a museum’s collection. Read on to learn how it’s done! Museums are in a unique position to make history fun for kids. Take advantage of our informal learning environment and start a History Club! Providing context for a museum intern through reading assignments and journal entries can enrich their experience. Congratulations! You got the interview! Now what? Is a Museum Career Right For You? A museum career offers variety, creativity and flexibility. But it isn’t for everyone. Here are some things to consider before you sign up for that master’s degree in museum studies. Ask your interns to keep a journal about their experiences to help them develop critical thinking skills and assess the museum environment. The Smithsonian has compiled a comprehensive list of museum studies programs. There are lots of ways to incorporate local history into your exhibition schedule. Here are some ideas to get you started. It is never a good idea to accept long term loans. All loans should be short-term and for a specific purpose only. It’s tough to get the word out about what you’re doing! Especially in this economy. Here are some suggestions to help publicize your museum. Today there are many options to consider when preparing for a museum career. Here’s why I think a Master’s degree in Museum Studies is the best path. Are you curious if your museum is following professional standards and policies? Consider participating AAM’s Museum Assessment Program to find out. Learn more about the skills necessary to land that museum job. Portfolios are an excellent way to sell yourself at a job interview. What kinds of things should be in it? Learn more about the skills necessary to land that museum job. It is important to know how to keep the artifacts in your care safe. Learn more about the skills necessary to land that museum job. One of my favorite parts about my career is creating exhibitions. Here are some quick tips on developing an exhibition. It is important to keep yourself informed about issues in the profession. But there are lots of groups to choose from! Here is a guide to some of the best to join. Learn more about the skills necessary to land that museum job. Not all museum positions require public speaking skills, but you will be more marketable for any museum job if you can speak in front of a group. A new series! Learn more about the skills necessary to land that museum job. No museum professional can succeed without knowing how to research and write. Here are some tips to hone your skills. There is power in numbers! Collaborations with schools, community organizations, and other museums can bring increased attendance and revenue! In this economy, everyone needs to raise money to balance the budget. These are some of the ways museums and other non-profits can raise some much needed cash. Finding a museum job can be difficult. Here are some ideas to help you land that perfect job! Memberships are a great way to build a solid audience base and create a steady revenue stream for your museum. If you don’t have a membership program, start one! And if you do, don’t forget to revisit benefits and costs periodically. Your museum’s name is your most important marketing tool. Are you considering a name change? Think long and hard about it first! This site was designed for Museum Professionals by Museum Professionals. Its goal is to provide you with a home on the web for effective communication, collaboration, and networking. The best part about this site is that it´s YOU who helps to build it! Master´s degree in international museum studies. Program located in Sweden. Graduate program in American Studies, with possibility of applying for a special certificate in Historic Preservation, Museum Scholarship, Material Culture or Women´s Studies. Post-graduate museum studies degrees, including distance learning and a PhD program. Visitors consider many factors before choosing to come to a museum. Here are some of the factors involved in the decision-making process when it comes to leisure time options. There are many ways museums can use this free resource to connect with visitors! Is your museum using Pinterest? This newcomer to the social media scene can be used to showcase your institution in a very visual way! Although we “live in the past” we have to embrace the future! Are you harnessing the power of the internet to further your mission? Digitizing our nation’s newspapers will provide an amazing resource for historical research. Museums are a great place to provide informal learning experiences. A successful lecture series can help raise your museum’s profile, fulfill your mission and earn some income. Inviting the media for a private tour can create important new partnerships. Here are some tips for planning a Press Day at your museum. It is important to keep your volunteers active and engaged. A Volunteer Enrichment Day can help you provide information, generate new ideas, and reinvigorate your volunteer team! Programming can increase attendance and interest in your exhibitions. Here are some of the ideas we´ve come up with for exhibitions at my museum. If you love history and want to share your passion outside the classroom environment, then a career as a Curator could be for you! Here's what you need to do to make it happen. If you love museums and would like to be in charge of one someday, this is the career for you! A museum’s education department wasn’t always considered an essential part of daily operations. But today, museum education provides a wonderful alternative for the person who wants to teach – but not in a classroom! Interns can be invaluable to a museum’s staff. Here are some tips to help you start an internship program at your museum. Teenagers aren’t typical museum visitors. Should museums attempt to woo them? Or should we acknowledge that some demographics just aren’t interested in what we do? Temporary exhibitions are one way to attract repeat visitors because there is always something new going on. 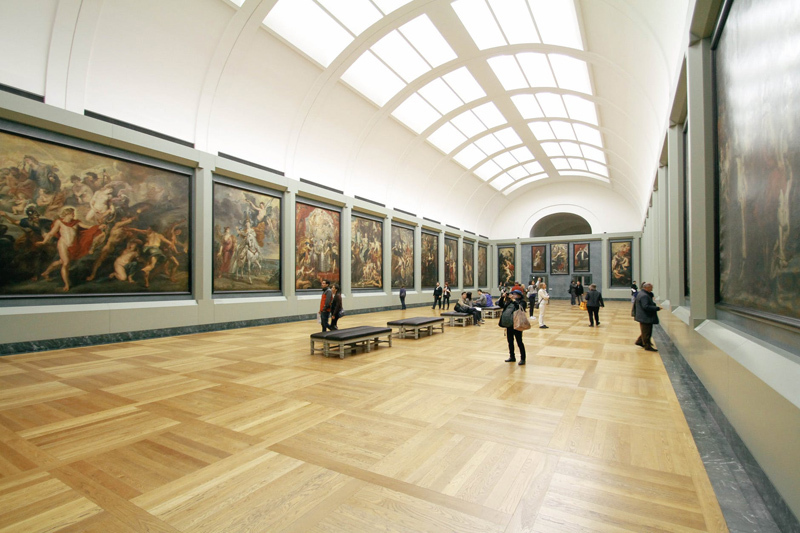 Here are some compelling reasons to dedicate space in your museum for changing exhibits. Courses at the Campbell Center for Historic Preservation Studies include everything from green exhibit design to gravestone preservation. In this economy, what can we do to keep the doors open? Here are some ideas. In spite of our best efforts, sometimes a museum event doesn’t go as well as planned. Here are some ideas to use when examining what might have gone wrong! There are many different types of positions within a museum. Perhaps one of them is the perfect career choice for you! Are you looking for a very specific program that suits your interests within the museum field? Check out these unique programs in exhibition design, historic preservation, museum education, art conservation, and public administration. It is important to nurture your museum volunteers whenever you can. A Volunteer Enrichment program will help keep them informed and connected to each other. Have you ever wondered what a museum Curator does? Look no further! What Is an Accession Number? This unique numbering system is the backbone of a museum’s collection. Learn how to decode what it means! Read on to learn more about the process of removing something from a museum’s permanent collection. If you have a reporter coming to your museum, what should you get in their hands? As much as you can! There are personality types who are more likely to visit museums. There are also people who will NEVER visit a museum. What do you know about these groups? There are many different reasons to visit a museum. Understanding why people choose to go to a museum can help boost attendance and allocate limited marketing resources. Writing for an exhibit is much different from other forms of writing. Learn more about what makes a good exhibit label.